Summit Racing now carries Clayton Machine Works Muscle Car Pedal Assemblies. Developed in conjunction with Detroit Speed & Engineering and Wilson Muscle Cars, the pedal assemblies are ideal for restomod and Pro Touring builds. 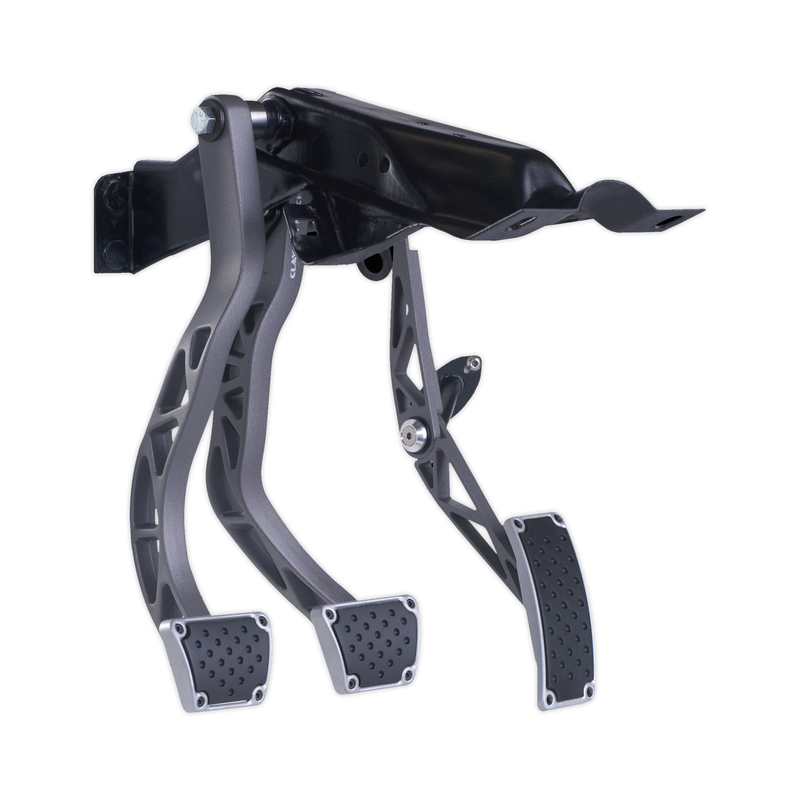 The bolt-in pedal assemblies feature forged aluminum arms with a cool graphite powercoat, pedals with dimpled rubber pads for better traction, and a throttle assembly. There is a choice of a manual pedal assembly with a clutch arm and pedal, or one for automatic cars that has a wider brake pedal. Clayton Machine even makes versions for LS engine swaps that retain the drive-by-wire throttle feature. They include a matching gas pedal that replaces the plastic OEM pedal on the DBW assembly (DBW assembly, electronics, and wiring are not included). The Clayton Machine Works Muscle Car Pedal Assemblies come with all necessary hardware and install into the factory steering column support bracket.